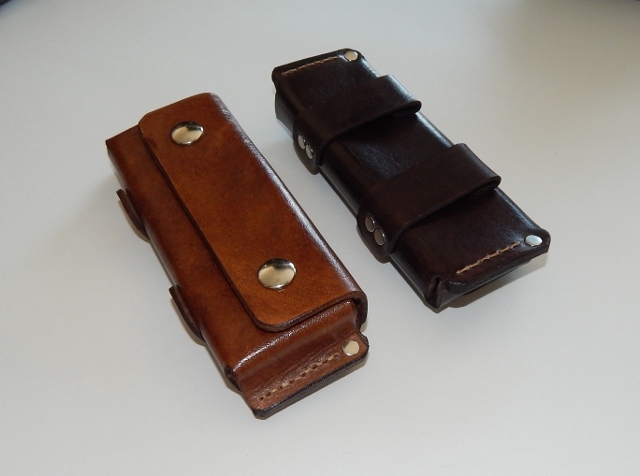 This leather sheath/pouch is hand-made using 5-6 oz leather and is wet-formed to shape. Although wet-forming requires additional days for drying time, it makes the leather much firmer. This makes the pouch strong and durable without added weight. It was made, stained and given a protective finish all by hand. We use environmentally friendly stains and finishes. It features a heavy duty line 24 snap closure. 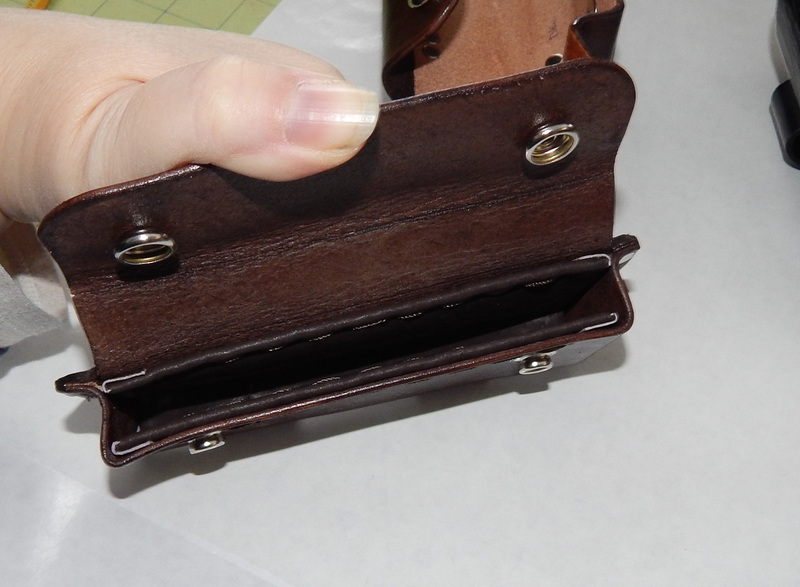 The belt loops (which are secured with double-capped rivets) will accommodate up to a 2" wide belt. It is a great way to keep your knife handy and secure. 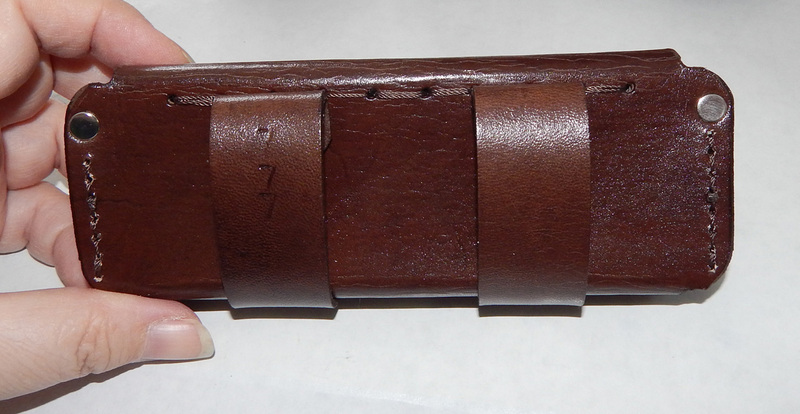 The sheath itself is approximately 5 3/4"x3"x1 1/2" in overall outside dimensions. 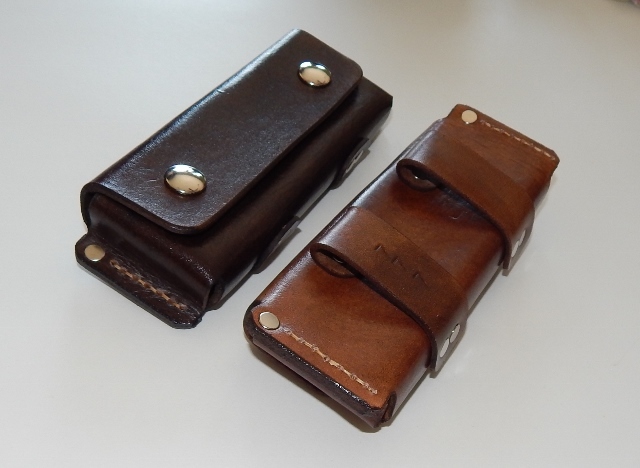 It will accommodate a folding knife or similar item up to a maximum size of 5 1/2" x 2" x 5/8". 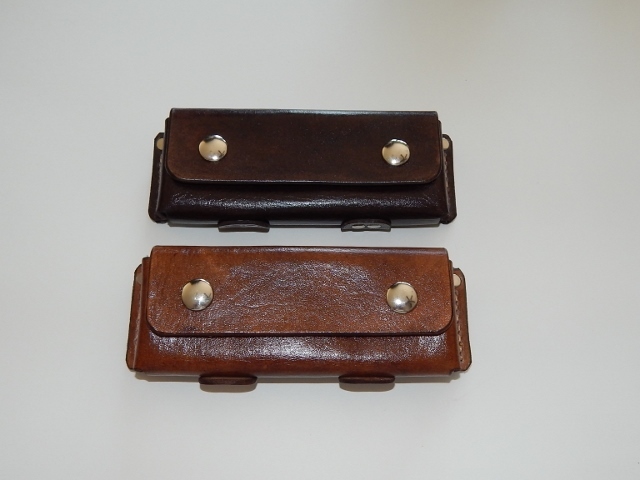 We personally use this size pouch for our 2-bladed Case folding Hunter knife or our large Cold Steel Voyager knife. We now offer this style pouch with an optional padded pigskin lining. The outside dimensions are very slightly thicker and taller to accommodate the lining while still allowing for the same size knife inside. Custom sizes available. Please contact us with details.